CRISPERANTO: The Quentin Crisp Archives ... All Things Quentin Crisp! Read it at Pink News now! QUENTIN CRISP: THE NAKED BON VIVANT! Read Quentin's 1993 text here! 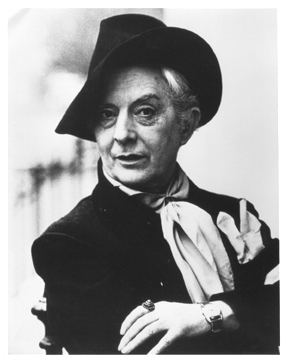 The mission of The Quentin Crisp Archives is to preserve and maintain the manuscripts, letters, recordings, artwork by and about, and various artifacts and ephemera related to the life and legend of Quentin Crisp, and to promote his philosophy of individuality, self-acceptance, and tolerance. This web site is an integral part of The Quentin Crisp Archives, providing news and information about "All Things Quentin Crisp!" So please check back this page for updates, as well as to review a variety of photographs and reminiscences by family and friends, and you. And to paraphrase Quentin, we thank you for your kind patience. Check back often this page for updates! Representative for "All Things Quentin Crisp"
Quentin Crisp portrait copyrighted © by Jean Harvey. All rights reserved. Used by permission. Publicity still with Quentin Crisp and John Hurt, circa 1975. Site Copyright © 19992019 by the Quentin Crisp Archives.